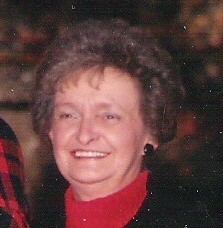 Geneva “Jenny” Chambers, age 87, Logansport, passed away at 5:25 p.m. on Wednesday, January 23, 2019, at McKinney Place. Born February 20, 1931, in Logansport, she was the daughter of William and Mary Rebecca Osborn Grace. On November 17, 1950, in Logansport, she was married to Thomas R. Chambers, Sr., who preceded her in death on February 1, 2015. Jenny had been employed as an operator for Indiana Bell Telephone, General Telephone and retired from Verizon. Jenny was a life-long member of Main Street United Methodist Church. Her husband, children, grandchildren and great grandchildren were most important in her life. Surviving are children, Thomas R. (Joni) Chambers, Jr., Terry (Charlene) Chambers, Tim (Julee) Chambers, and Tammy (Chuck) Campbell, all of Logansport; sister, Marilyn Thomas, Logansport; grandchildren, Tyler (Jennifer) Chambers, Clare (Matt) Bragg, Brandon Chambers, Brent (Allison) Chambers, Chad Campbell (Amber Fleming) and Kylene (Billy) Sickafus; great grandchildren, Abigail Chambers, Audry Chambers, Cammie Campbell, Bryant Landis, Austin Mowery, Malloreigh Clippard, Owen Clippard, Brayden Sickafus, Sydney Sickafus and Turner Ryland Chambers; several nieces and nephews, and cousins. Also surviving are a brother-in-law and sisters-in-law, Ves and Lindus Chambers, Fowler, Diane Chambers, Fort Wayne, Della Quinn, South Bend, and Doris Chambers, Logansport; several nieces and nephews, and cousins. Two sisters, Joann Grace and Alberta Grace preceded her in death. The funeral service will be at 3:00 p.m., Sunday, January 27, 2019, at Kroeger Funeral Home, with Rev. Dean Snyder officiating. Visitation will be from 12 noon to 3:00 p.m. prior to the funeral. Memorial contributions may be made to Main Street United Methodist Church.